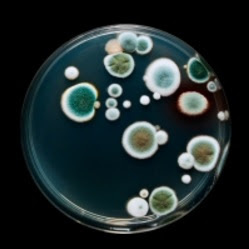 A lot of microbes are found in the air of pharmaceutical manufacturing area. Some of these may be harmful for the products and human therefore, these should be identified and monitored regularly. The surprising truth is that there are billions of micro-organisms circulated in the air, most of which are bacteria in nature but the biggest problem is one, identifying them seems to be one of the most major mountains to climb. Many of the pharmaceutical laboratories have tried to identify them through air sampling methods, but quite often results have shown that there are other sources of environmental isolates that are contaminated with pharmaceutical products and others microorganisms in water. Identification of environmental isolates is the main purpose of environmental monitoring. All of the pharmaceutical laboratories use reference cultures as a way to identify these microorganisms, but the bad news is that reference culture is specified for identifying pathogens, yet there exists a broad range of organisms that are not identifiable by using reference culture media. The other factor is the need to have the exposure and expertise while interpreting data because such information needs to be reliable and up to date. According to the USP chapter no. 1116, which gives the guidelines for identification of the microbial isolates, it recommends that once these environmental isolates are identified, it’s important to have a complete library of them where proper records are always kept such that in the case of any outbreak or positive outcome, reference can always be made. Information provided to the reference libraries should be updated regularly and must be reliable and accurate as this serves the manufacturing industries with the knowledge base of the current and ever-changing taxonomy of the microorganism world. Broadly speaking, microorganisms cause negative results. Therefore it is important to follow the regulatory guidelines at the different levels using the available resources and instruments. For example, DNA sequencing is used to identify the microbial organisms up to the species level. This method helps to identify species of closely related features, a good illustration for this is A. niger and A.brasiliensis having the same morphology. It’s also important to preserve environmental isolates using disinfectants so that they can be used for further validation studies and sterility validation. Sanofi Pasteur’s sterile product manufacturing in Toronto of October's 2011, highlighted massive flooding resulting from water damage and fungal isolation. This was followed by a state of validation sterility test for BCG tuberculosis vaccine in Australia. This was looked as a pharmaceutical environmental monitoring program which detected the presence of bacteria outbreak and provided sterility validation guidelines. On the side of manufacturing industries, there is more exposure to fungi, yeast and bacteria most especially with dietary supplements and pharmaceuticals. Therefore there should be a proper streamlined environmental monitoring program to prevent product contamination before release on the market. Finally, FDA and FAO mention three methods of commercial monitoring including phenotypic, proteotypic and genotypic. The genotypic method is considered to be more accurate than the phenotypic which is useful for sterility testing. Genotypic identification uses the DNA sequence whereas phenotypic identification involves describing the protein or peptide sequence. Therefore using any of specified identification techniques of the environmental isolates and their library will help pharmaceutical to follow the proper guideline.